Madame Tussauds, the world-famous wax attraction, will open its seventh U.S. location in Nashville at Opry Mills in spring 2017. 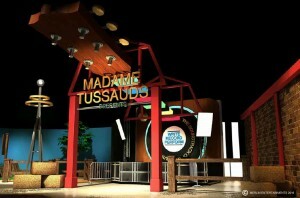 It will be Madame Tussauds’ first music-themed attraction and the only location in Tennessee. This family-friendly attraction will provide visitors with an interactive experience, where they will be able to touch, see, feel and photograph figures of their favorite musicians such as Carrie Underwood, Stevie Wonder and Johnny Cash. These wax figures are in addition to the more than 45 figures the attraction plans to debut over the next year. Guests will step into immersive iconic scenes and musical performances that are unique to Madame Tussauds Nashville. Madame Tussauds Nashville will celebrate the city’s and country’s iconic figures and music through the theme “Soundtrack of America.” This attraction will provide a historical walk through America’s musical past and present with vivid scenes supporting the colorful cast of figures. Madame Tussauds is owned and operated by global leisure giant Merlin Entertainments plc (Merlin). Other U.S. locations are Hollywood, Las Vegas, New York, Orlando, San Francisco and Washington, DC. The Nashville location will represent the 22nd Madame Tussauds globally. Opry Mills, the largest outlet and value retail shopping destination in Tennessee, features a great collection of fashion-forward stores, such as Polo Ralph Lauren Factory Store, Coach, Cole Haan, Saks Fifth Avenue OFF 5TH, Forever 21, NIKE Factory Store, Gap Outlet, Lucky Brand Outlet and Bass Pro Shops, as well as the state’s first locations of The Limited Outlet and H&M. Shoppers can also enjoy quality dining and entertainment at Rainforest Cafe, Aquarium Restaurant, Dave & Buster’s, and Regal Cinemas Opry Mills Stadium 20 and IMAX.